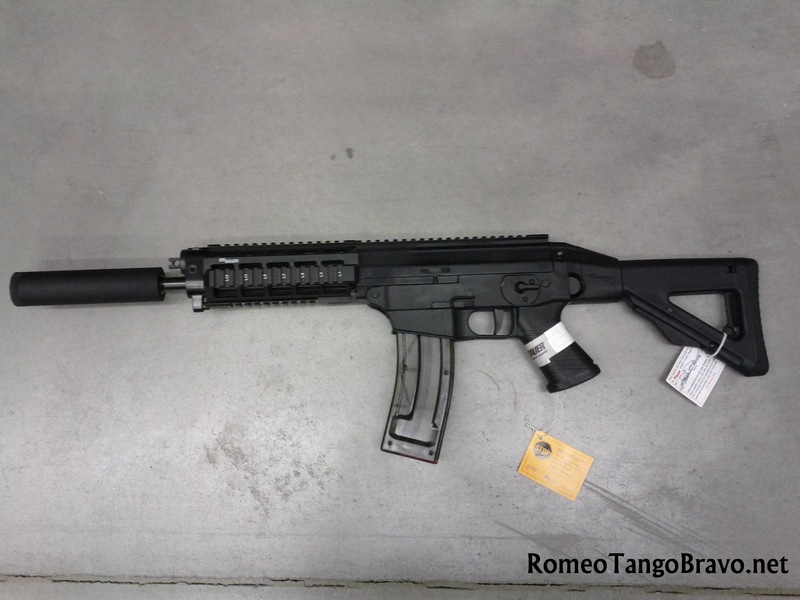 RomeoTangoBravo: SIG522 SWAT Commando Hits the Shelves! SIG522 SWAT Commando Hits the Shelves! 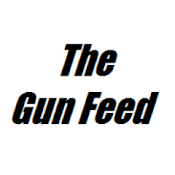 I am a big proponent of .22LR trainers! 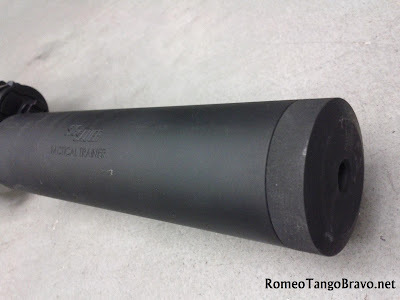 In the tactical world you can easily get uppers for your AR or purchases a dedicated .22LR clone. 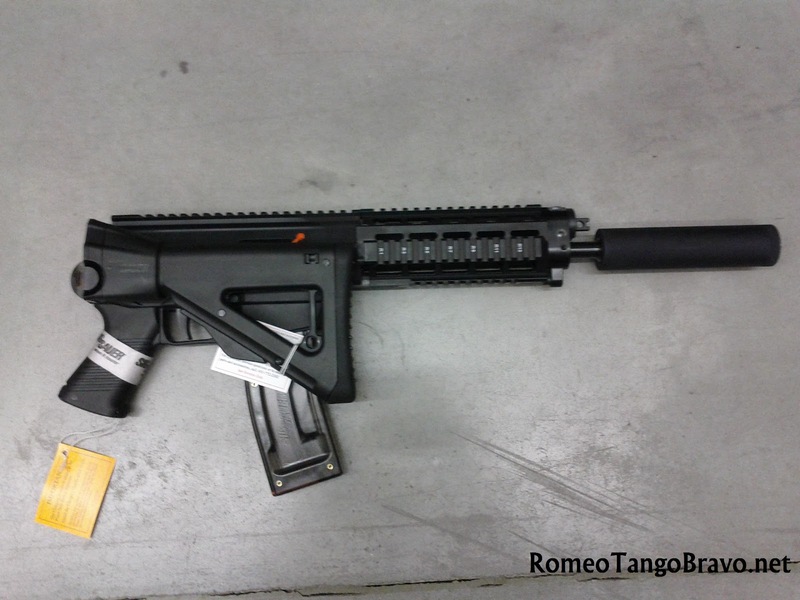 Today we have a .22LR version of the SIG 556. 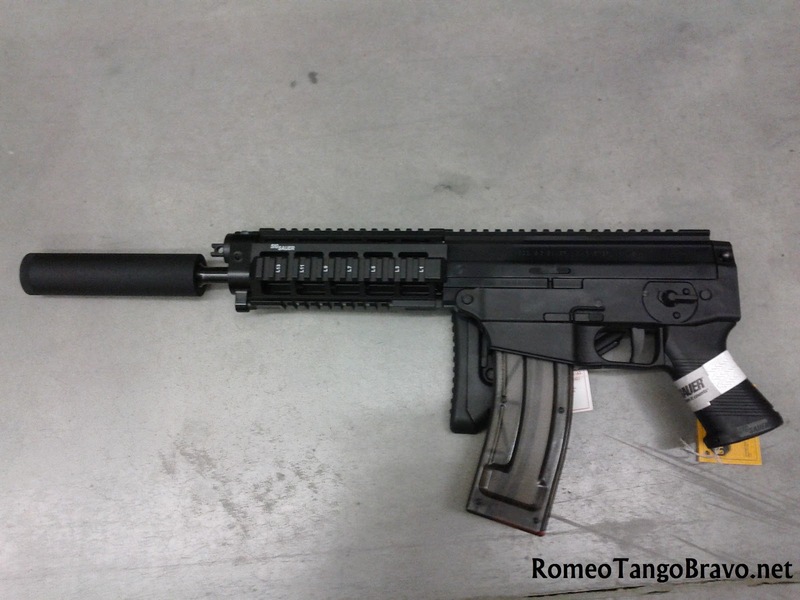 This particular model is the SIG522 SWAT Commando. Fitted with a 10" Barrel and a faux suppressor the overall length comes to 16". The best part is now that SIG has a Factory SBR Program and offer a 10" SBR 522 SWAT. I have not shot this rifle but I'm pretty sure I'd like to own it! 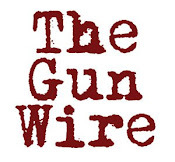 In case you didn't notice it isn't using proprietary magazines. It accepts the popular, reliable, and available Black Dog Machine magazine. SIG Sauer ACP (Adaptive Carbine Platform) Prices Released! 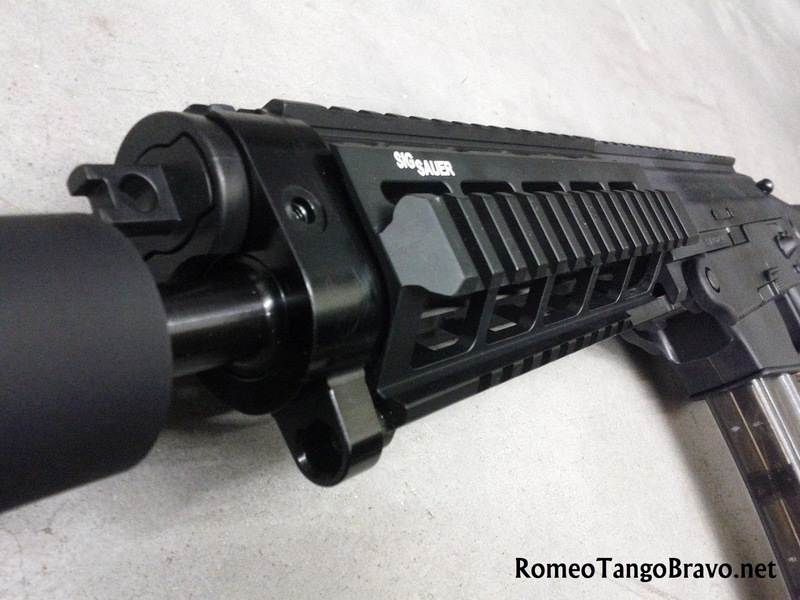 SIG M400 Hits the Shelves! Been Looking for a Pocket Pistol? Troy Industries Doing What They Do Best! H&K MP5 A5 .22LR Hits the Shelves! Benelli Vinci Super Sport Hits the Shelves! Ruger LCR-22 Hits the Shelves! GearScout Buttstock Bashfest :: Results! Ruger SR22 Pistol Hits the Shelves!